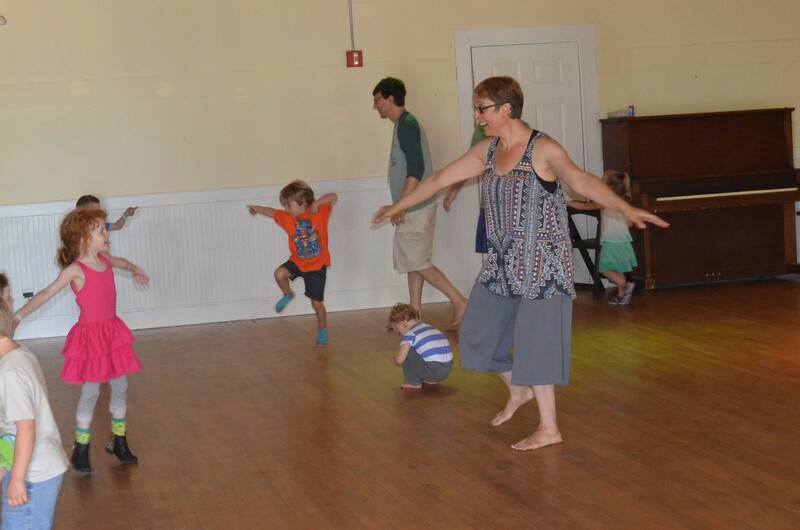 Saco, Maine – You can add “Family Camp” to the list of things that I never thought I would do with the twins… until I did it. You know me, Little Miss Independent Traveler. 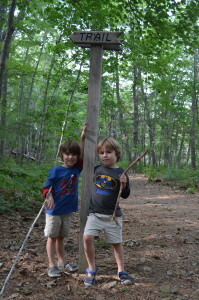 What business do I have taking my kids to a camp where other people organize our daily activities? I know, I know. But Family Camp offered some things that are nearly impossible to get out of independent travel. And, well, we had a blast. Our “family camp” was at beautiful Ferry Beach. (We went there for a weekend last fall, and I fell in love.) 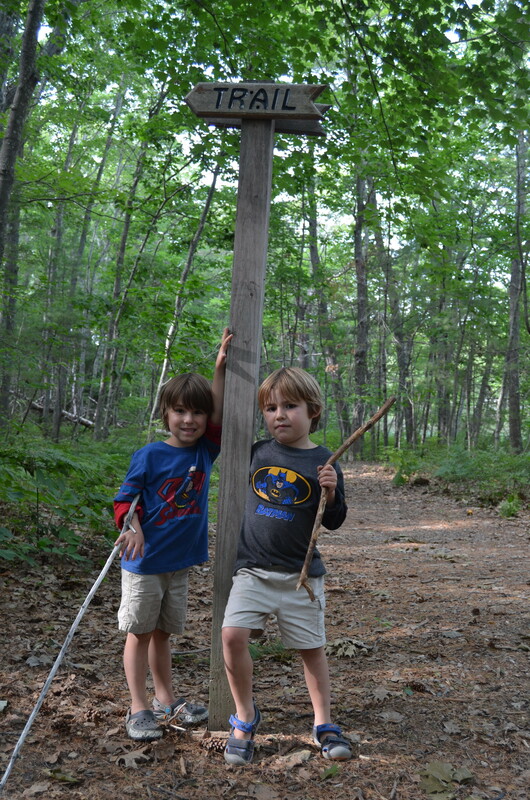 It’s church camp, really, but it’s Unitarian-Universalist church camp, so the church part is pretty optional. Nonetheless, the thing that I appreciated most about our week at Ferry Beach was the church-like community that surrounded us there. Daddio likes to joke that Unitarian-Universalism is church for people who don’t believe in God; and there’s an element of truth to that. But it was uplifting to be surrounded by people who share my same values. Throughout the week, I kept bumping up against displays of compassion, creativity, mindfulness and gratitude… so much gratitude. Including my own. Also, the planned activities–from art classes to sand castle contests to talent shows to all-age games of ultimate frisbee–are designed to foster friendships. (And many families have been returning to Ferry Beach year after year, so the friendships endure.) All week long, the twins always had friends to hang out with–not only the church friends and neighbors that we knew before we came, but also new friends that they met this week. Case in point: the annual game of Humans vs Zombies. Twin V was probably the youngest player; he was transformed into a zombie five minutes after the game started, and he did not tag a single soul for the rest of the game. But he had a blast running around in a pack of kids all afternoon. In fact, HvZ was the highlight of the week for Twin V. The next day in the dining hall, I was delighted when he approached a teen (whom I did not know) to give him a Zombie-5. So… it’s fun to spend a week at the beach. But when you’re a kid, it’s even more fun to spend a week at the beach with a bunch of other kids. Incidentally, young children who did not want to play HvZ were invited to a dance party, complete with disco ball. So here’s what Twin S was doing while his brother was hunting humans. Number 9 on my list of Top 10 Reasons to Travel With Kids is that “child care is available if you want a break.” At family camp, child care is part of the program, every single day. And it’s not just child care, it’s fun games, art projects and nature walks. And at Ferry Beach, it’s free for kids under 8! During this time, I was free to do the “Art & Yoga” class I had signed up for. Of course, I know that going on vacation is supposed to be an opportunity for families to spend time together. And honestly, some parents of older children were lamenting the lack of time with their kids (who refused to sit with them during meals, and other typical kid stuff). So maybe family camp is not the best vacation for family bonding. But the twins and I had plenty of time to bond (and fight). We spent hours on the beach, we went hiking in the forest, we did our own art projects, we read books and we ate ice cream. By my calculations, I had 21 hours a day to spend with my children. Considering we had left Daddio at home, that was more than enough for me. It can be exhausting going solo as a parent; but this was another case where the community was invaluable. 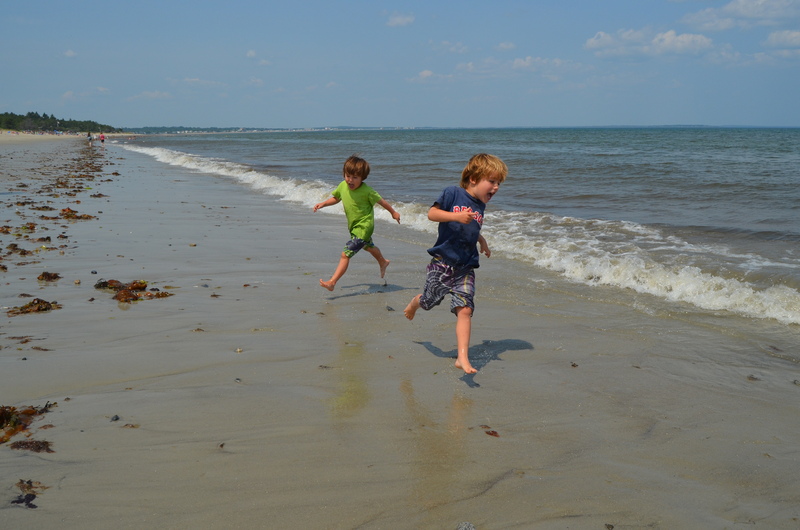 At Ferry Beach, there is no such thing as “somebody else’s children”. The adults were looking out for the kids, period. (Isn’t this how it should work everywhere?) It started as soon as we arrived. It was taking a while to check in so I told the twins they could go play at the playground, and a stranger lady offered to keep an eye on them. Throughout the week, time after time, strangers went out of their way to befriend my children–and to help out if need be. And by the end of the week, many of these strangers had become friends, not only to me but also to the twins. So again… it’s fun to spend a week at the beach. And when you’re an adult, it’s even more fun to spend a week at the beach with like-minded adults.